i miss how much fun we had together the last time i saw you. 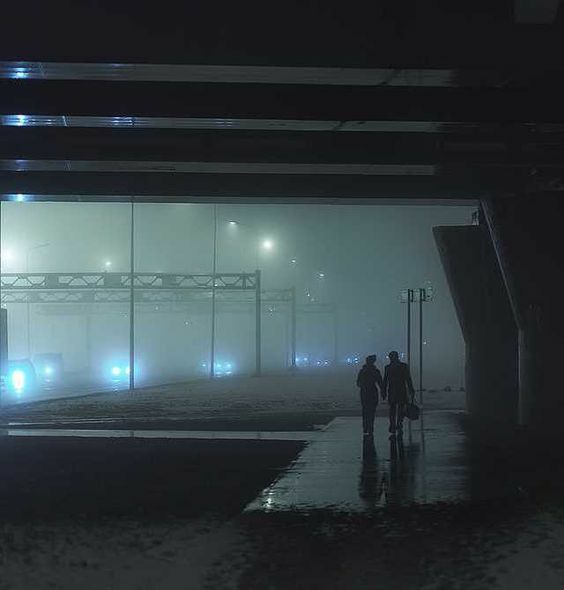 the stolen glances and the silent giggles. i sat in bed tossing and turning because the thought of you was too much to handle. it was too much to feel right before sleep. you’ll think of me too and you’ll search for my name and find this. you’ll call me and we’ll talk for hours like we used to. the same time i do in mine. you’ll sketch my eyes while i daydream of yours. and, when we see each other again, i’ll tell you how i missed you in the way i hug you. i’ll see it in the way your gorgeous brown eyes twinkle. maybe i can’t sleep because i’m in your dreams or on your mind too. if so, i hope we’re both tired, but still dreaming, in the morning. While scrolling through Instagram, I came across a startling post. 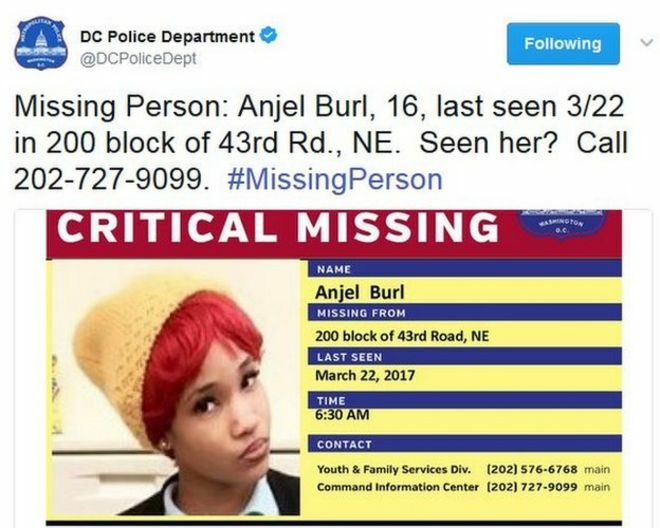 In the past 24 hours, 14 young black girls have been kidnapped in Washington DC. Even more astonishingly, it has taken an outcry on social media, not pure human concern, for media outlets to even report on this horrific incident. When new Metropolitan Police Chief, Chanel Dickerson, was appointed two months ago, he pledged to find all the missing girls in DC. This statement comes at a dire time in our nation’s capital. Since Wednesday, 22 kids have gone missing, adding on to the hefty 501 case so far this year. Needless to say, these missing reports are nothing new. What is almost more concerning than the sheer number of cases is the public’s lack of knowledge. When I asked my friends if they had heard about these cases, none of them knew. Whether it be lack of speaking out by major news outlets or seeing a headline and forgetting it, they had no idea that 14 girls our age have been taken from their families, friends, and homes. Even though media involvement can be dangerous in some cases, news about these girls needs to come out so that the public can keep a watchful eye and even protect these girls. Members of the Congressional Black Caucus are appealing to Attorney General Jeff Sessions and FBI Director James Comey to open a federal investigation. They call for help because of the fear of a deeper, scarier underlying agenda and the obvious racial stigmas present. “(W)hen children of color go missing, authorities often assume they are runaways rather than victims of abduction,” the lawmakers said. This statement has been backed up with looming facts and other reliable sources coming out to make statements as well. Especially in cases involving minors, it’s critical to reach out to the public for help, as most child abduction victims are killed in the first 24 hours. White’s concern holds a lot of standing, because although some of the 14 new cases are adults, these people have been put in a terribly unsafe position. In fact, many DC residents believe these kidnappings to be part of a human trafficking scheme. One would believe that this fact alone is enough to spark national outcry, but we still find ourselves missing 14 girls, with limited headlines and a lack of information on how to help them, before we hear their names in eulogies. Ever feel like you’ve lost something that you simply can’t ever replace or recover? Not something really, someone. Losing someone that close that knew so much and wanted a better human being instead of a monster. One who rather be feared and respected than loved. What kind of animal is this? This maniac never evolved fully. A heart and soul were left undeveloped from the vessel that wreaks havoc on all those who care. Pushing away, more interested in achieving his desired power than achieving relationships with those that wanted to be there. Denial was never the answer for him. Hiding in the shadows, he tried to hide himself from everyone because he couldn’t stand causing the hurt anymore. The pain he forced upon himself and the world around him was unorthodox. Everything and everyone that he thought he loved was all a lie. He wasn’t capable of love or allowing people to love him. He wanted to learn, but didn’t know how. His power was declining. Is there more than just raw power? Is there emotion in this cold life he lives? Is there any way to achieve happiness? What an outrageous concept. He so greatly craves love. But he can’t feel it. He had it. But she was always his missing piece. She never saw what he did. She was incredible to him and he loved her. But when the missing piece fell to the floor, she dragged his heart with her, never allowing love again. As much as he wants to hate her, he can’t. He still loves his missing piece.